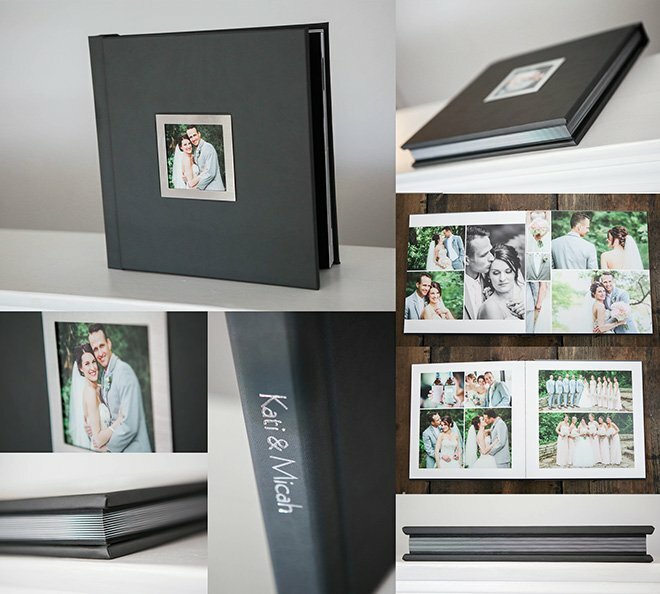 I was so excited to be able to photograph Jenna and Jared’s Storybook album AND parent albums all together. It was like a little team of amazingness. 🙂 They chose Marine leather for their Storybook cover, and then we used a navy leather for the parent albums. They look so pretty together! I hope Jenna and Jared, along with their families, enjoy these for many years! Definitely something to pass down to the grandkids. I was so excited to see Kati & Micah’s Storybook album in person. We chose Smoke Gray leather for the cover, and used a metal frame around the photo. It matched perfectly with the feel of their wedding! I LOVED this album. It was almost hard to let it go when the couple picked it up! The beautiful Brooklyn Brown leather was something I hadn’t yet seen in person (other than my little sample swatch), and it is gorgeous. Coupled with the colorful cover photo, this album is just swoon-worthy. I included a few of the inside layouts too. Nate & Megan’s wedding was so pretty! I got this album in waaaaaay back in the fall, as you can tell from the pumpkins and gourds in the background. 🙂 Abby and Jared got a textured Champagne material for their Storybook cover. The texture is so fun! I also love the closeup photo we printed on metal. And here are the two parent albums. They have the same layouts inside as the Storybook, but we customized the covers for the parents. The one on the left is a teal fabric and the one on the right is a baby blue fabric. Both have a linen texture to them that is just beautiful! 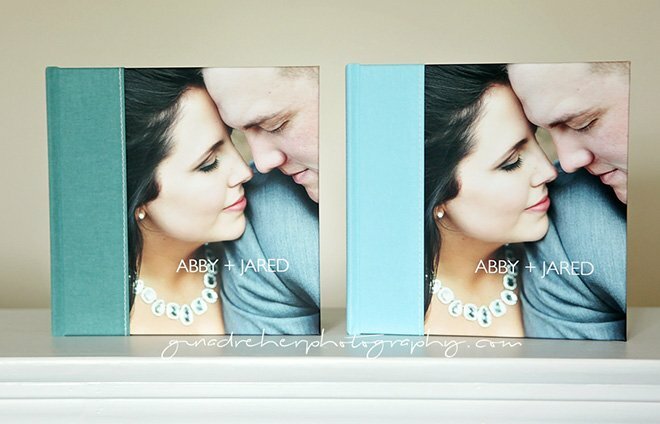 Aubrey & Zach were married last summer and received their beautiful Storybook Album soon after. They chose the Champagne cover material (which is a personal favorite of mine) and a long vertical metal photo. So pretty! I have had several sessions as of late that I cannot post teasers or highlights of due to Christmas and baby news. So while it’s been a bit quiet on the blog, it’s been busy around here! We’ve also been doing a few renovations to our house, so things are a bit crazy to say the least. In the midst of all that, I thought I’d share Vanessa and Beto’s Storybook album with you. They celebrated their first anniversary in October and are expecting a baby boy in January. So excited for them. They chose a large metal cameo (photo) on the cover, and Champagne material. I love the colors of this. And Vanessa’s getting-dressed photos are some of my favorites ever, so be sure to check those out below. Allison and Allen were married back in March and received their beautiful Cocoa Leather Storybook Album shortly thereafter. If you didn’t get a Storybook from your wedding, you should seriously consider it. These albums are works of art! I wanted to share with you this beautiful Storybook album we got in for Bethany and Derek over the summer. They chose our awesome textured black cover material called Midnight with a metal photo on the front. 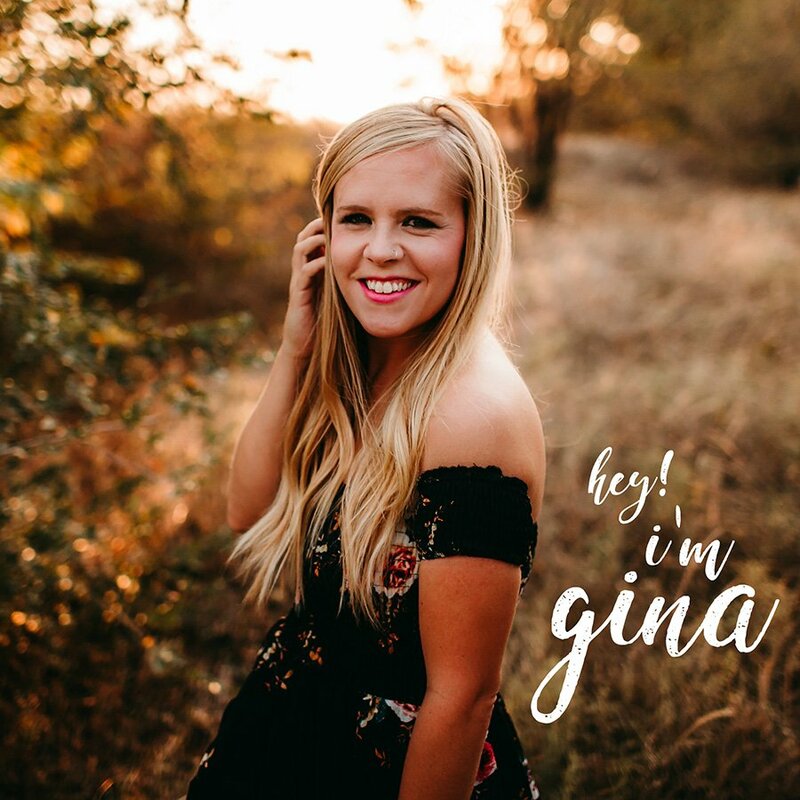 This album is likely one of a kind, BEAUTIFUL, and perfectly fits Chelsea and Scotty’s personalities and their wedding. Chelsea chose a Khaki leather for most of the cover, with our white Glam leather for the spine. Be sure to check out the amazing texture on both materials…I tried to get close-ups of them for you. The Glam is almost reminiscent of snake skin and it’s fabulous. A little gold imprinting of their names on the spine was the perfect finishing touch. Chelsea had originally thought about going with something more standard, but I’m so glad she thought outside the box and made up a new combo I hadn’t seen before…it turned out so well!